If you like your meals sausage-based, this is the place for you. 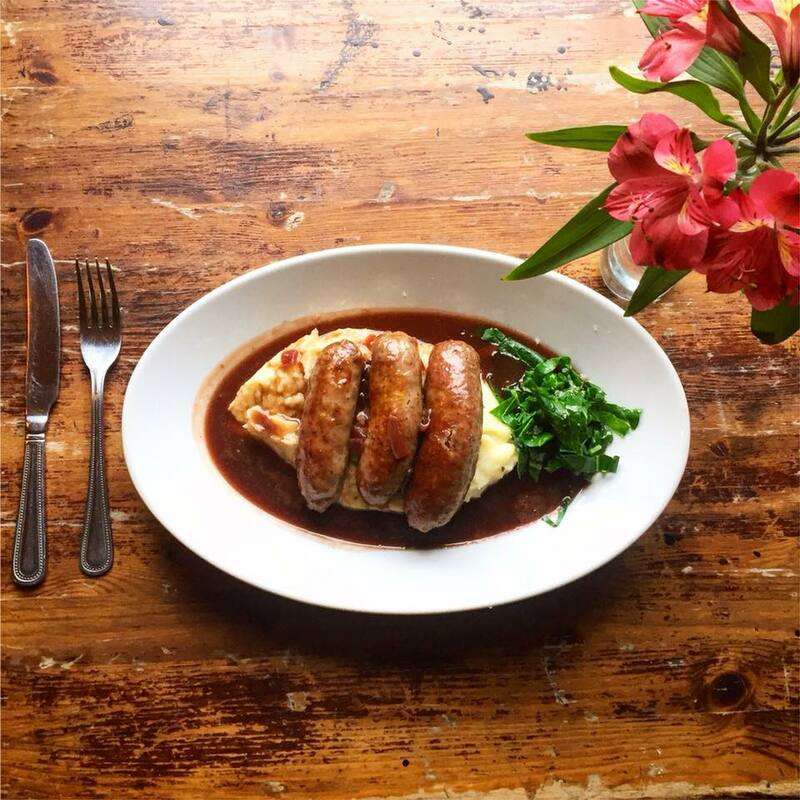 eleven sausage varieties, seven flavours of mash and six tasty gravies to choose from - it all adds up to 560 delicious meal combinations. If you come in five days a week, you'd still be discovering new flavour combinations over two years later! Sundays is roast time! Please note that we do not serve sausage and mash on Sundays - but we have plenty of delicious roast options to choose from. Book your table on 01273 329444 - and we recommend ringing through a pre-order if possible on the day, as things can sell out very early!